I am a clinical psychologist and psychotherapist by training and currently work as a Senior Lecturer in the Department of Psychiatry at the University of Nairobi in Kenya. Since 2011 I have been engaging in maternal and child mental health research in Nairobi, Kenya. I have been collaborating with the University of Washington Seattle and New York University Medical School on NIH/NIMH funding mechanisms. I have mentored over 20 postgrad students who are focusing on maternal depression and its impact of child health outcomes. I am also acting as a Co-PI on a project studying the outcome and effectiveness of psychotherapy delivered at KNH, Nairobi (2013-) funded by PRIME-K and also involved as a PI in neuropsychological evaluation of HIV+ children in Kenya with University of Grenada (2014-ongoing) . Prior to this, I worked on issues around psychological ramifications of poverty, trauma and disasters. 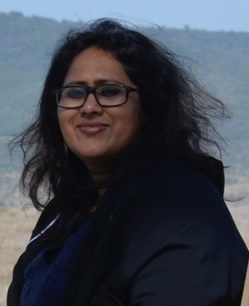 I have worked on mental health issues in refugee child populations in Delhi (Vikram Sarabhai Foundation & University of Delhi), Dharamsala (with Tibetan Government in exile), London (with Anna Freud Centre, UCL), and with child survivors of Gujarat earthquake and riots (SEWA, Gujarat) and more recently with vulnerable child populations in Nairobi. As a career researcher, I am interested in extending my work further into childhood adversities, poverty, and gender linkage in the context of developing countries using perspectives from critical psychology, clinical psychology, social epidemiology, attachment research and development studies particularly using Amartya Sen’s capabilities framework. My work explores the attachment trauma and psychological adjustment of survivors of natural disasters and ensuing social violence. An area of research that arose from my earlier examination of post disaster adversities after natural disasters and social violence is an examination of the social trauma of Kutchi girl survivors of the 2001–2002 Gujarat earthquake and riots. My work illuminates the symptom these girls manifest (being mute, stoic [multiple/ongoing] trauma survivors) and behind this the social depravities such as gender discrimination and child-rights violation. Additionally, my work explores the way in which psychology is practiced through western-centered or uncritical, apolitical lenses, and how it is fated to generate scholarship that glosses over political struggles, multiplicities and complexities outside of the Western world. These works are part of conceptualising a shared project of de-centering and de-familiarizing psychology and psychiatry, and how they are currently thought and practised in particular contexts, within the contours of complex social structures in India and other developing contexts. Another area that my work has panned into is providing behavioural evidence to environmental issues, namely, how understanding human behaviour can address big challenges such as climate change, migration, deforestation and degradation of ecosystems. As a Co-PI in the MEPI’s MH-Linked Award ‘Mental Health research for better health outcomes’, a project funded from the National Institute of Mental Health (NIMH), the MCMH group is focusing on addressing maternal depression and improving child health outcomes. The focus of my research for the last three years has been towards building evidence for child physical and mental health outcomes that are attributable to maternal depression in Kenya. I am currently supervising twelve postgraduate students from public health, psychiatry and clinical psychology in the MCMH group under the MEPI’s MH-Linked award who are exclusively focusing on maternal depression and child outcomes. In this we are particularly interested in developing psychotherapeutic interventions and outcomes that are gender-sensitive and can take into account livelihood options in the treatment of young girls and women with depression. Kumar, M. (2007) A journey into the bleeding city: Following the footprints of the rubble of riot and violence of earthquake in Gujarat, India Psychology and Developing Societies,19, 1-36. Kumar, M (2011). Conceptualizing attachment trauma: Exploring emotional vulnerabilities among disaster affected children of Gujarat. Psychological Studies, DOI: 10.1007/s12646-011-0114-x. Kumar, M & Fonagy, P. (2013). Differential effects of exposure to social violence and natural disasters on mental health of children. Journal of Traumatic Stress, 26, 695-702. Kumar, M. (2013). ‘Girls are to be seen, not to be heard’ Understanding social trauma of Kutchi girls in post earthquake Gujarat. Psychology & Developing Societies, 25, 333-366 (Sage). Kumar, M (2013). Examining the circle of attachment trauma, shame and marginality: Unheard voices of Kutchi girls. In J. von Braun & F. Gatzweiler (Eds. ), Marginality – Addressing the nexus of poverty, exclusion and ecology (pp. 156-168). Springer: NY. Burman, E., Greenstein, A., Kumar, M. (2015). Frames and debates for disability, childhood and the Global South: Introducing the Special Issue. Disability and the Global South (DGS), 2. Kumar, M (2006). Rethinking Psychology in India: Debating Pasts and Futures’. Annual Review of Critical Psychology, 5. Kumar, M (2011). (Re)Locating the Feminist Standpoint in Practice of Psychology Today: A case of India. In A. Rutherford et al. (Eds. ), Handbook of International Feminisms, International and Cultural Psychology. New York: Springer. Kumar, M & Mills, C (2012/2013). Making psychology strange: Dislocations and Defamiliarizations in India. Annual Review of Critical Psychology. Kumar, M & Burman, E.(eds) (2009) ‘Critical and Subaltern Approaches: (How) Can the Millennium Human Development Goals Be Achieved? Journal of Health Management, 11, 1-14. Brondizio, ES, Gatzweiler, F, Kumar, M & C. Zografos. (2010) ‘Socio-cultural context of ecosystem and biodiversity valuation'. In P. Kumar (Ed), The Economics of Environment and Biodiversity: Ecological and Economic Foundations. Earthscan: UK. Kumar, M (2012). Poverty and Psychoanalysis: Poverty of Psychoanalysis? Psychology and Developing Societies, 24, 1-34. Kumar, M. & Bharadwaj, A. The psychology of innovations: innovating human psychology? In F.W. Gatzweiler, J. von Braun (eds. ), Technological and Institutional Innovations for Marginalized Smallholders in Agricultural Development. Kumar, M. , Ongeri, L., Mathai, M., & Mbwayo, A. (2015). Translation of EPDS questionnaire into Kiswahili: Understanding the cross-cultural and translation issues in mental health research. Journal of Pregnancy and Child Health, 2. Magadhe, B., Kimani, V., Van der Stoep, A., Nicodimos, S., Kumar, M (2015). Effects of post-partum depression on infant feeding practices and child malnutrition in an informal settlement based MCH clinic in Nairobi. Under revision for BMC: Research Methods. Yator, O., Mathai, M., Vander Stoep, A., Rao, D., Kumar, M. Risk factors for postpartum depression for women living with HIV attending the prevention of mother to child transmission clinic at Kenyatta National Hospital at Nairobi, Kenya. AIDS Care. Polkonikova-Wamoto, A,. Mathai, M., Van der Stoep, A., Kumar, M. (in press). Attachment status of Kenyan children: A qualitative analysis of everyday adversities and parenting practices in Nairobi. Vulnerable child and youth studies. Jepkoech, I., Mathai, M., Kumar, M. (2015). Prevalence of dyslexia in children aged 7-9 from a Nairobi school. Indian Journal of Developmental Disabilities, 3, 29-38. Wambua, GN, Obondo, A., Malla, L., Bifulco, A., Kumar, M. (2015). Attachment insecurity as a predictor of increased emotional and behavioral problems: A cross-sectional study of Kenyan adolescents in Nairobi schools. Under submission to BMC Psychology.